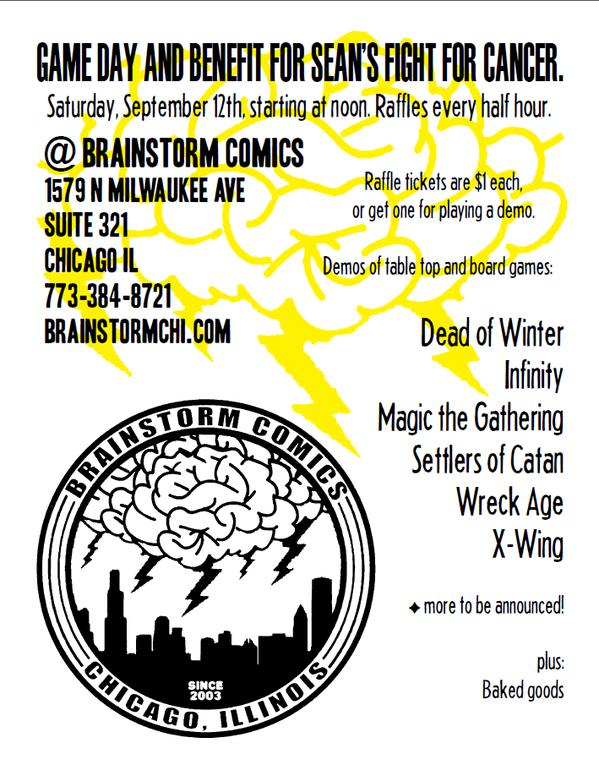 We’re bummed to hear that Sean of Brainstorm Comics has cancer. As part of his fight, check out the gaming fundraiser being held on the 12th! Previous Previous post: A Busman’s Gallery of the Art on the Walls at the Flat Iron Coyote.